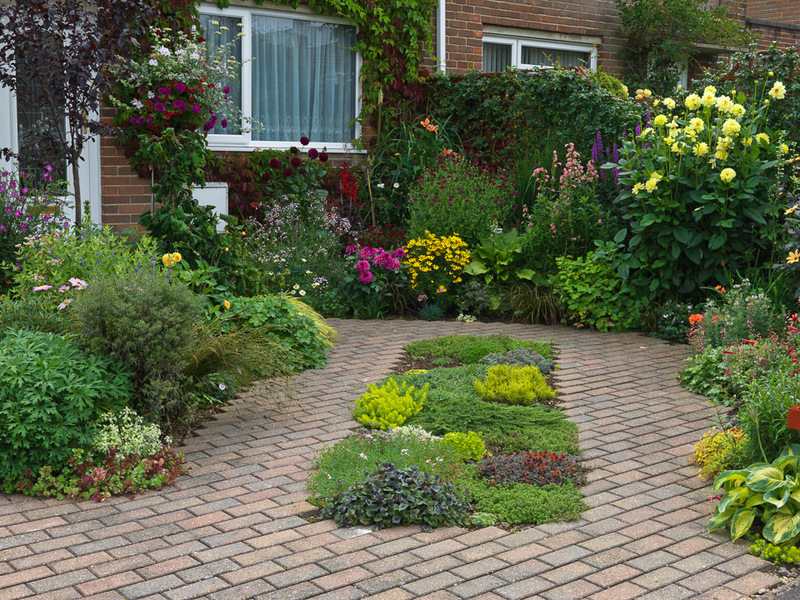 It’s a tricky business designing a front garden, with stiff competition for space as parked cars and wheelie bins jostle for position alongside flowers and foliage. Out off necessity, practical issues often come first, turning frontages into a lifeless transit areas where nobody lingers. 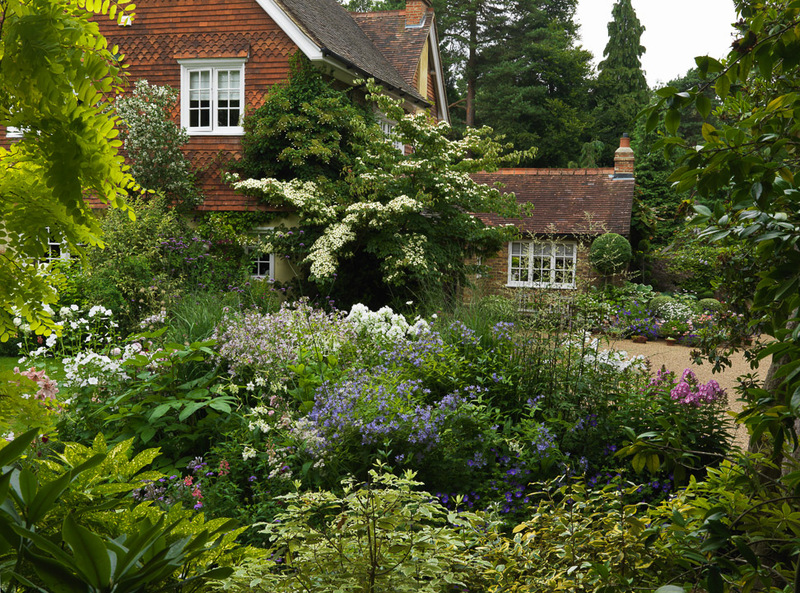 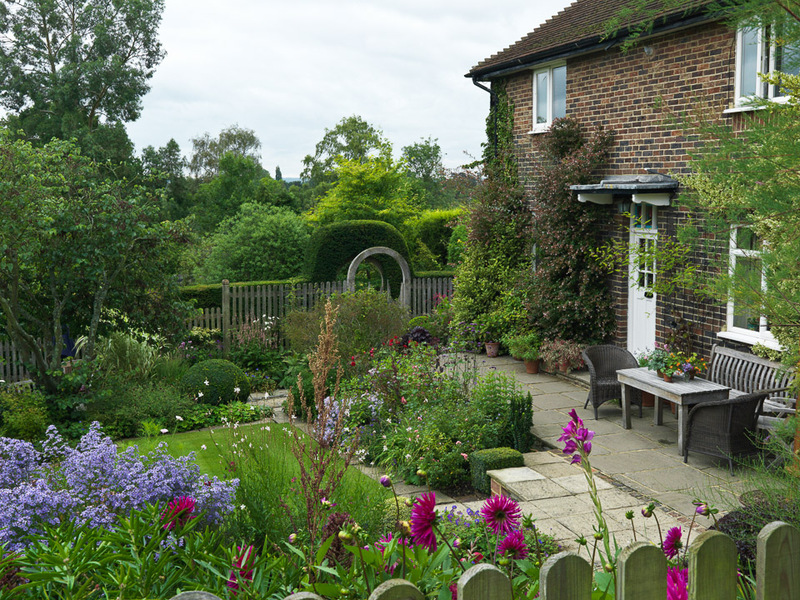 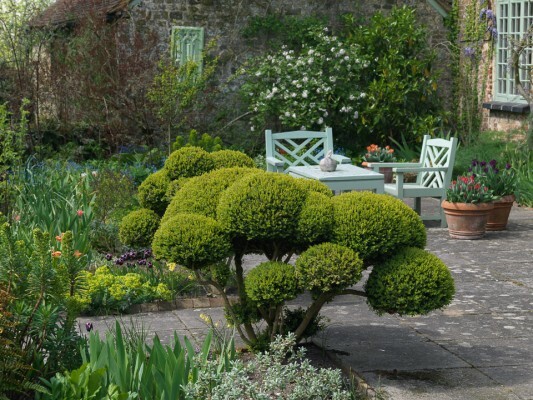 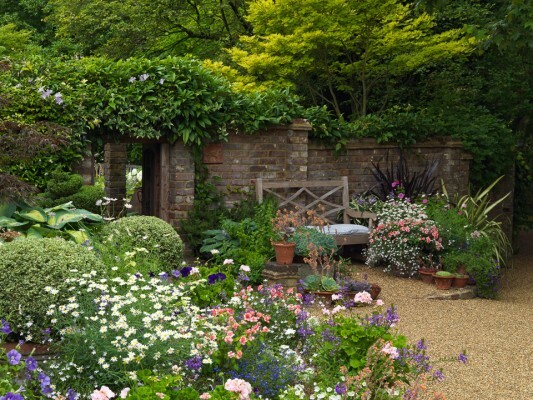 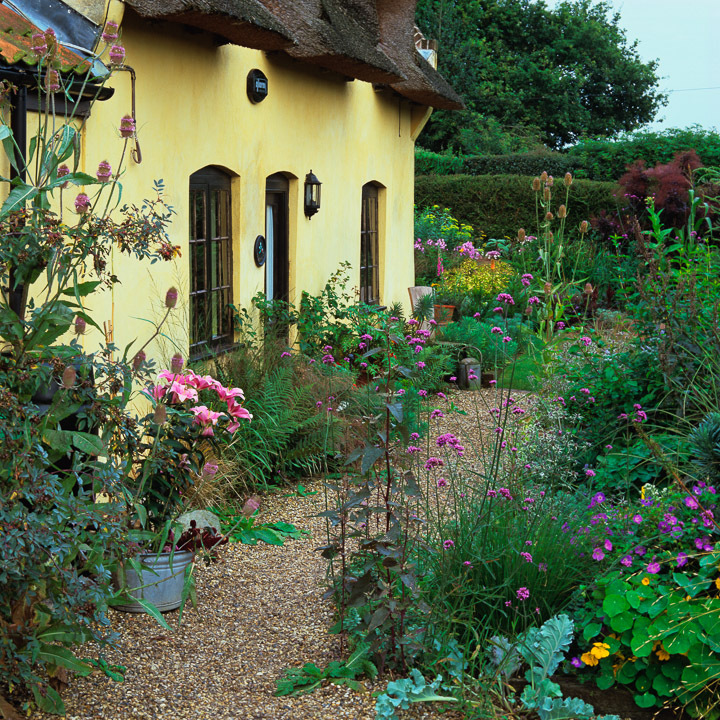 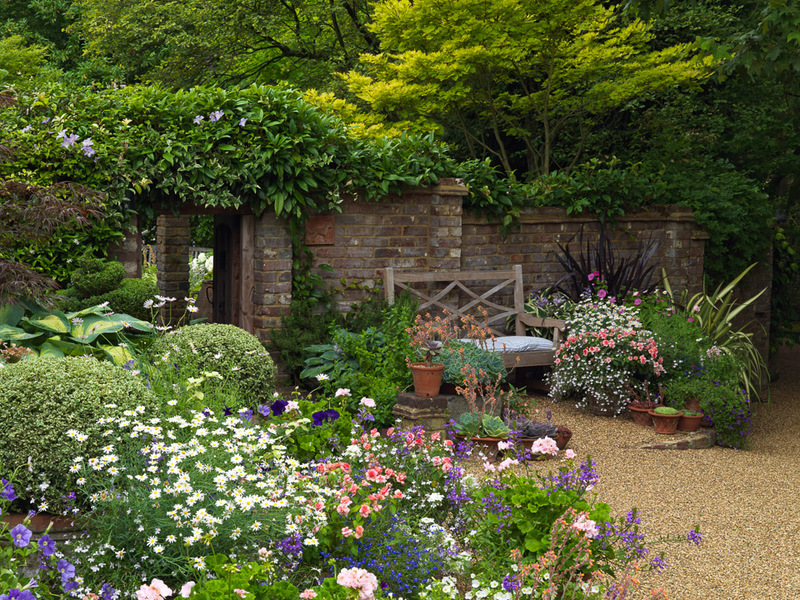 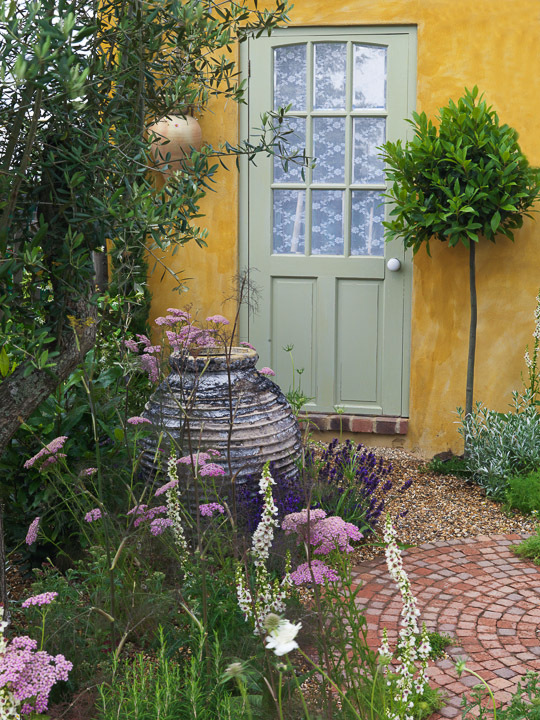 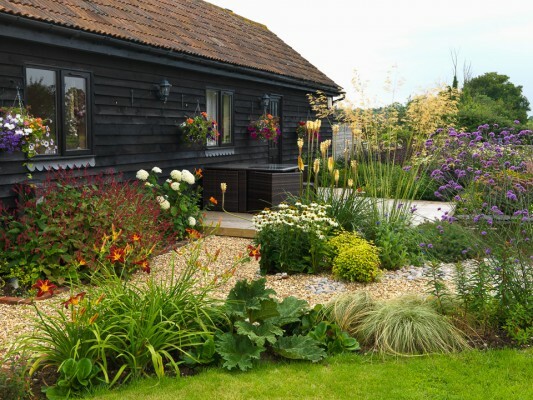 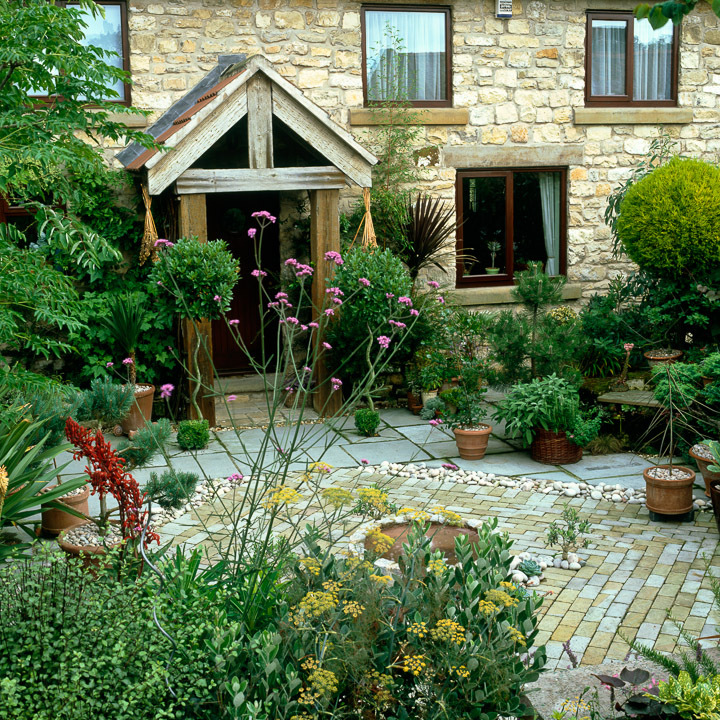 The smaller the space, the more ingenuity and imagination it takes to find a middle way, a layout that incorporates plants, encourages wildlife and accommodates the paraphernalia of everyday life, whilst also providing an attractive setting for the house. 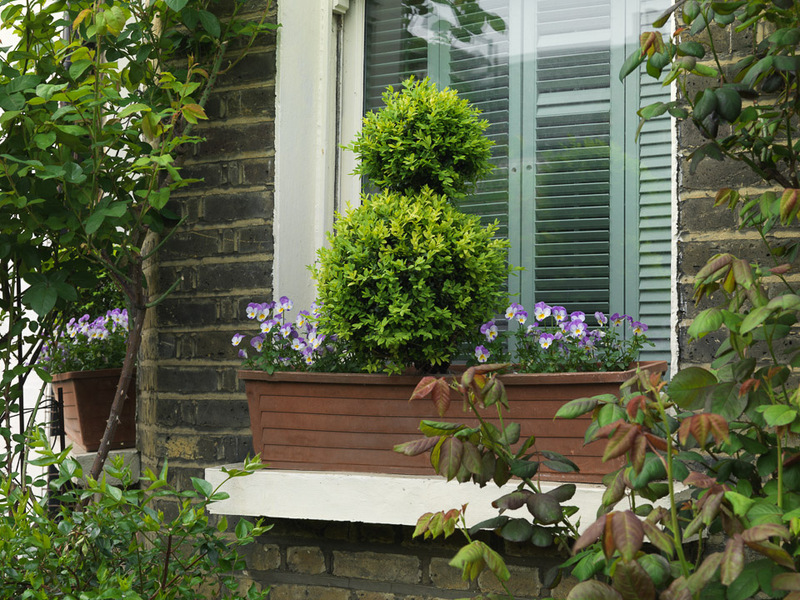 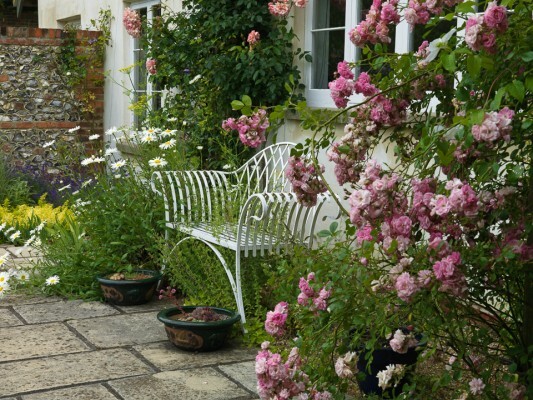 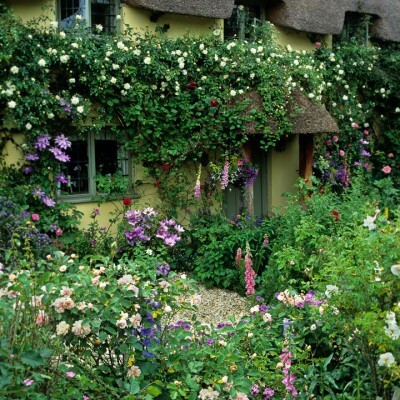 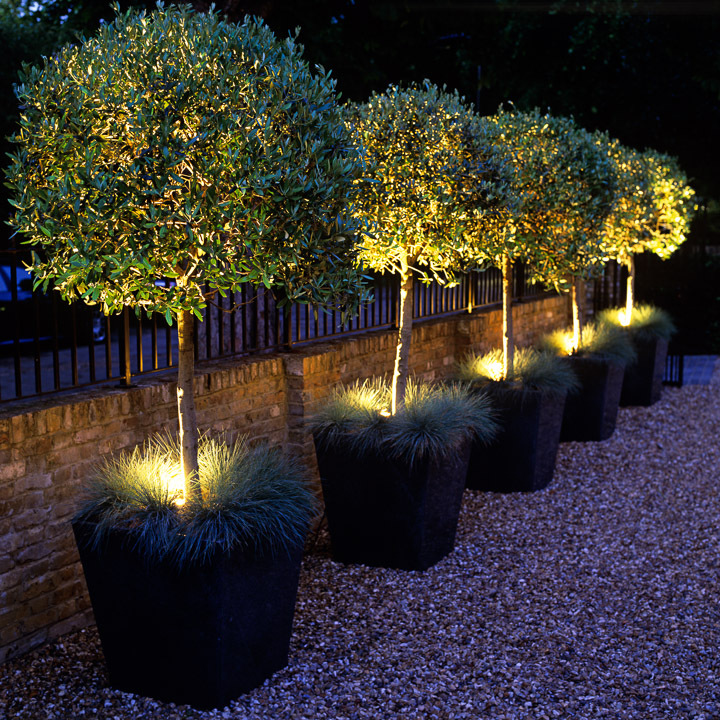 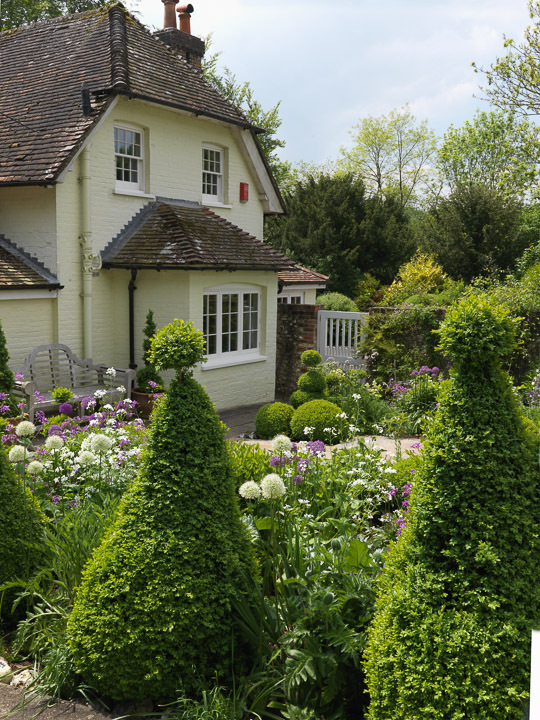 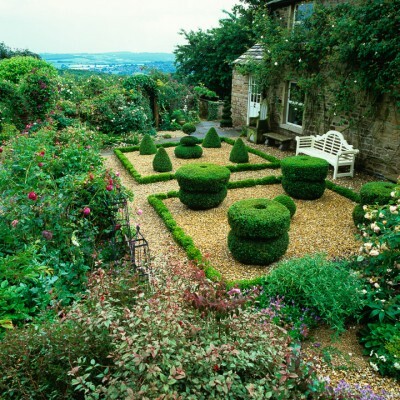 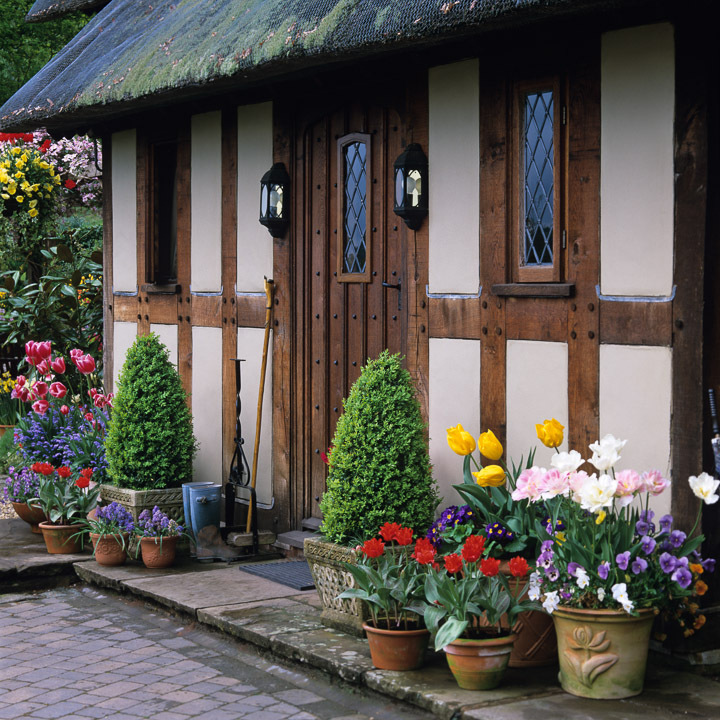 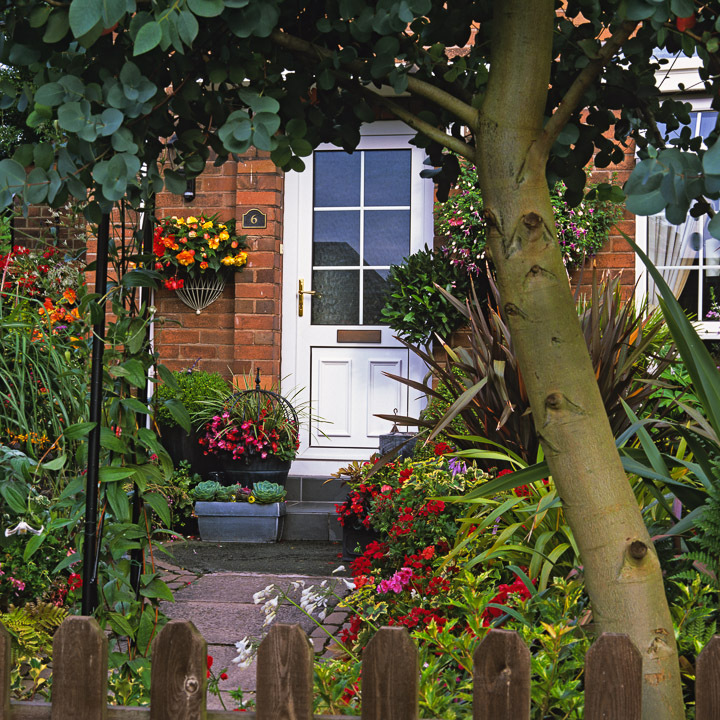 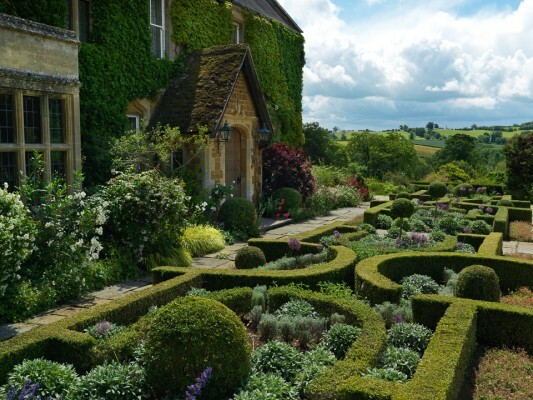 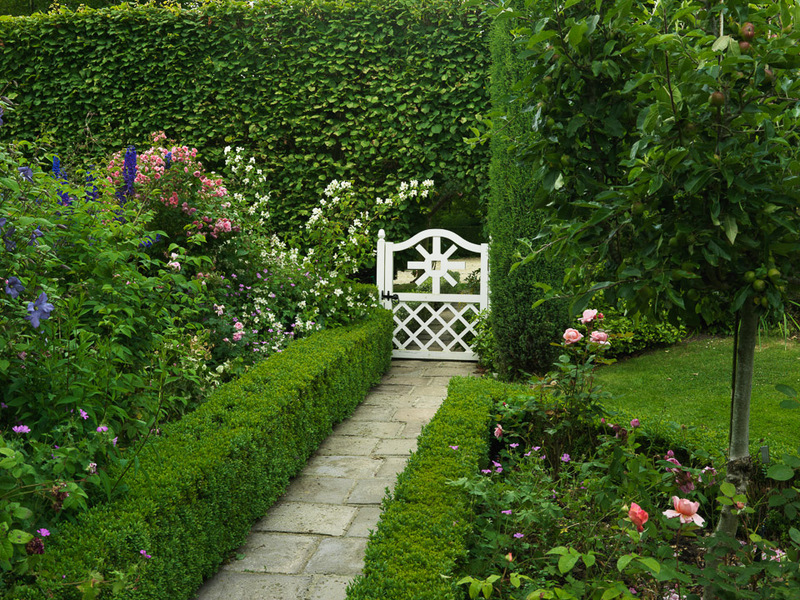 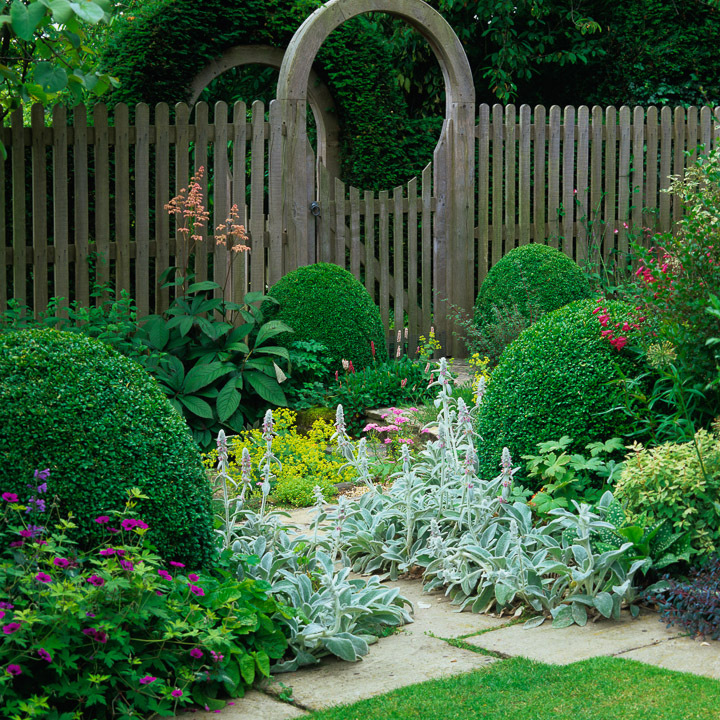 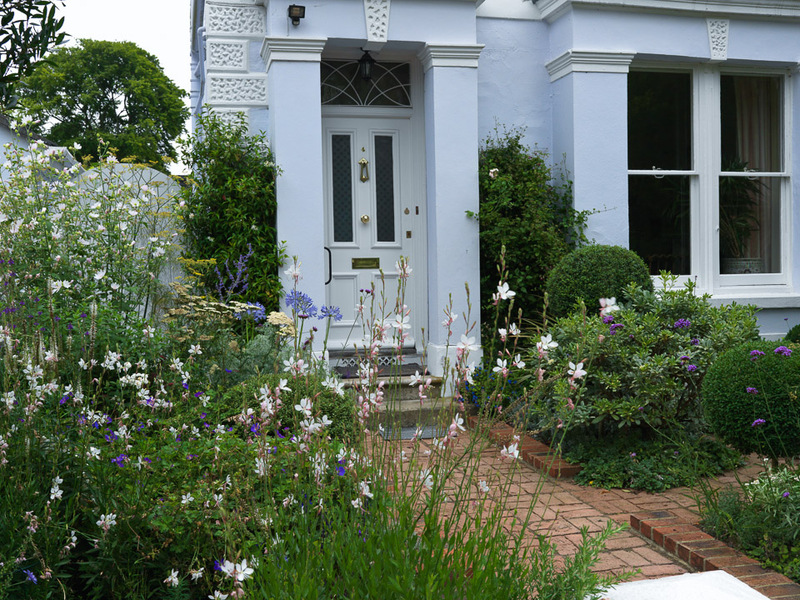 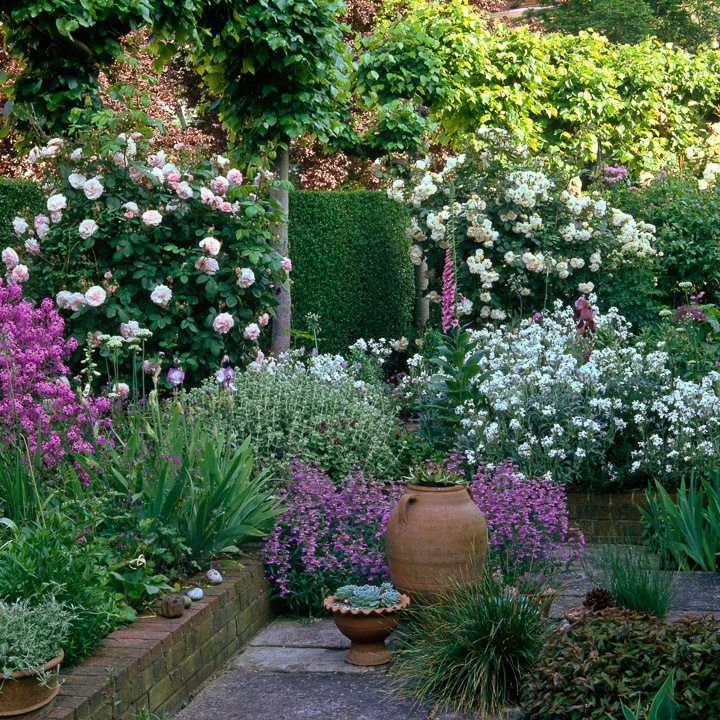 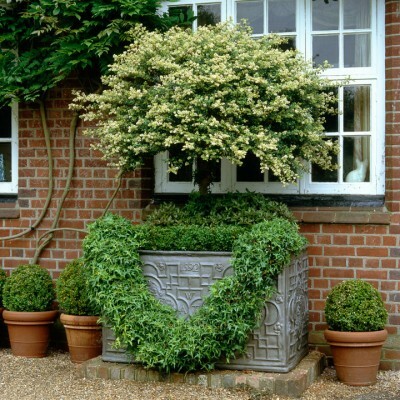 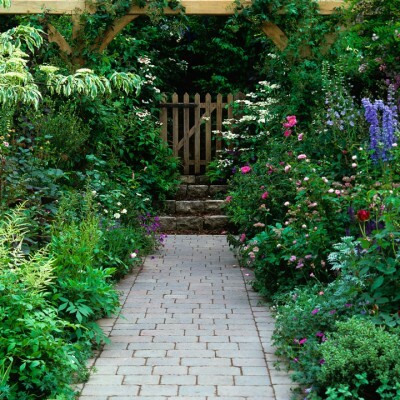 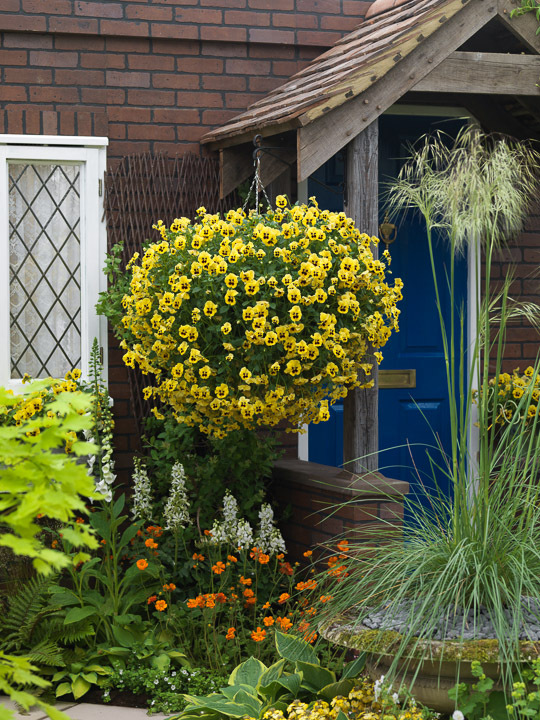 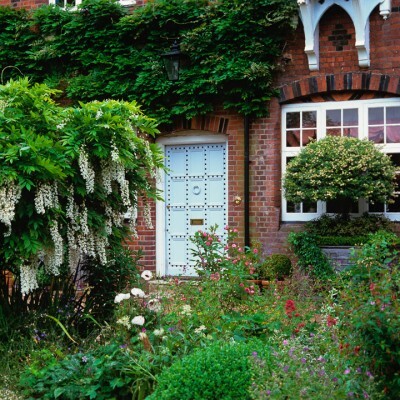 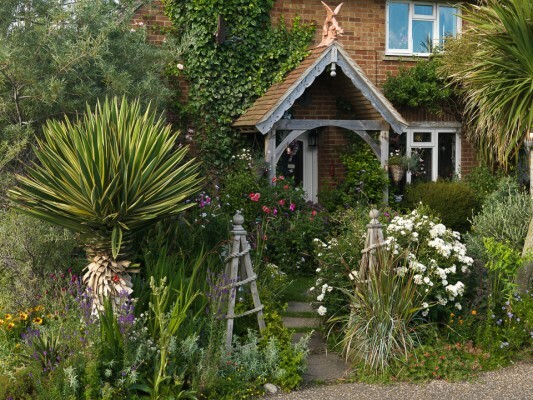 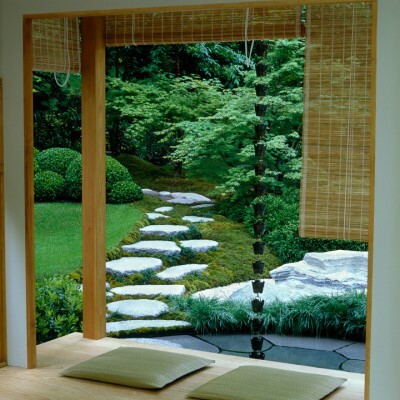 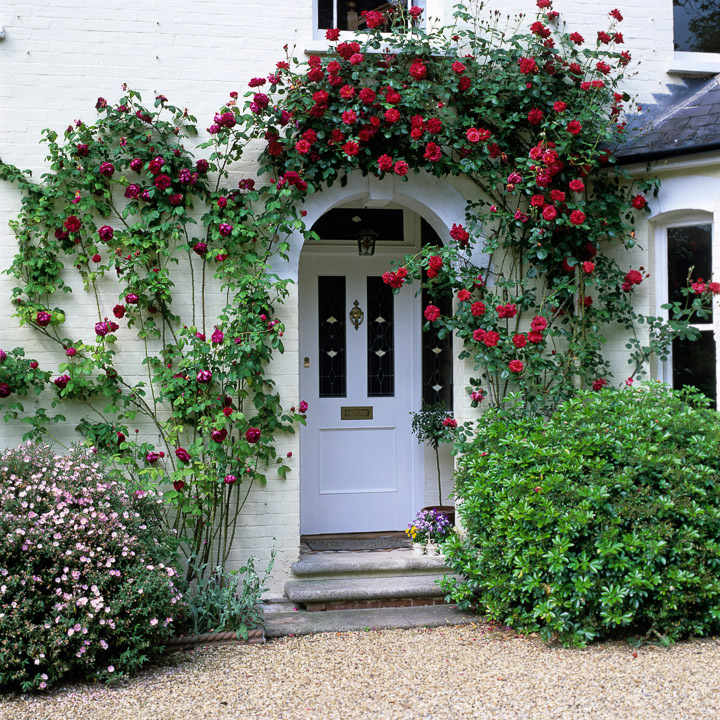 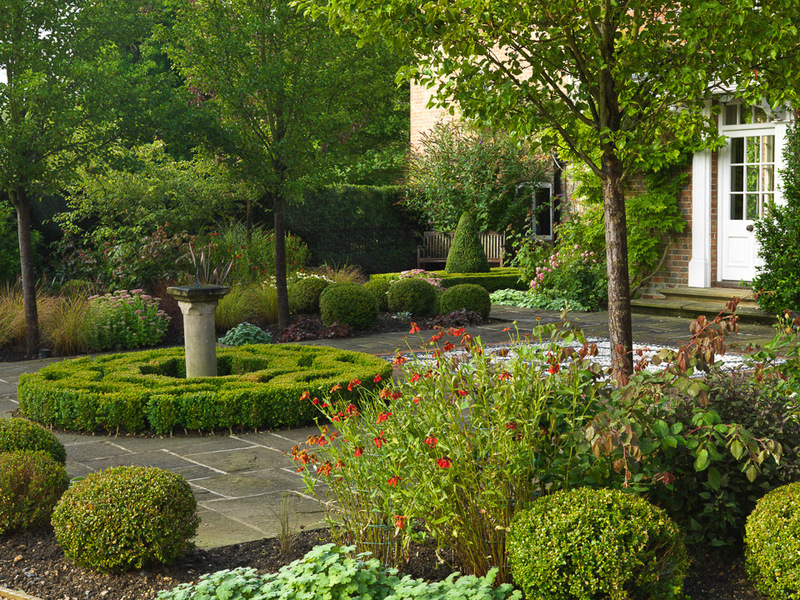 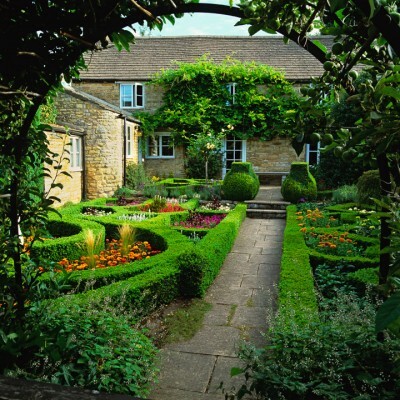 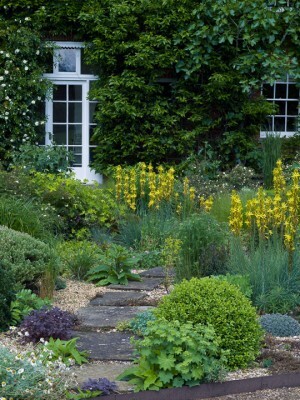 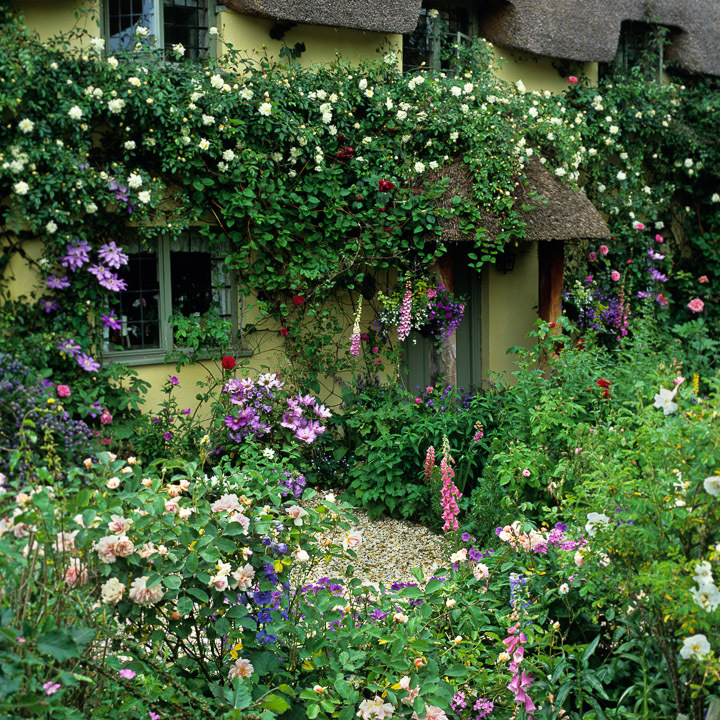 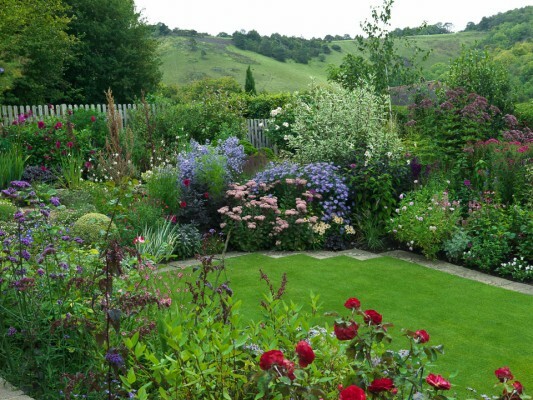 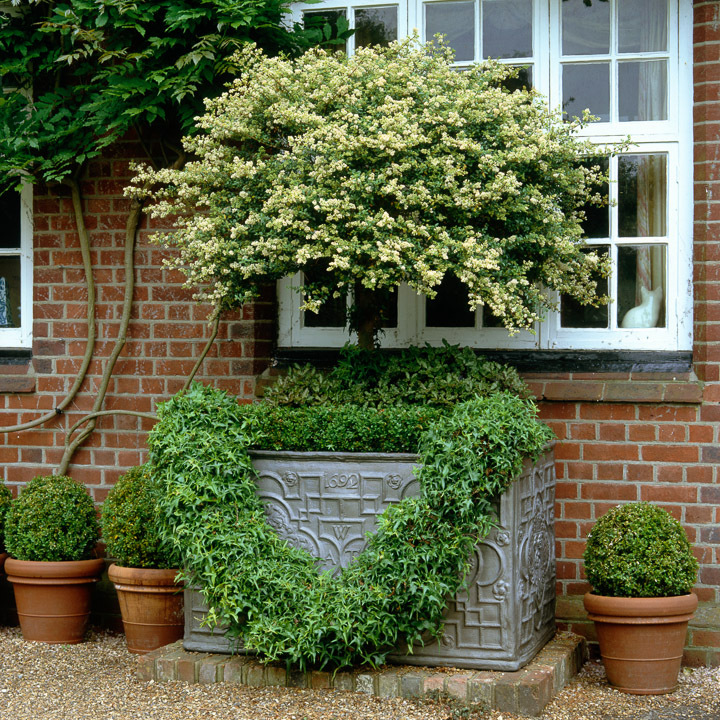 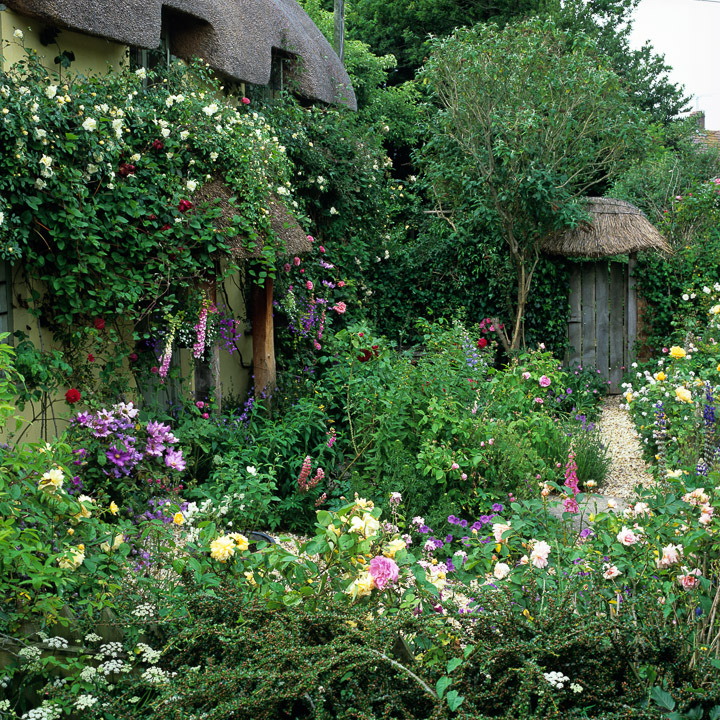 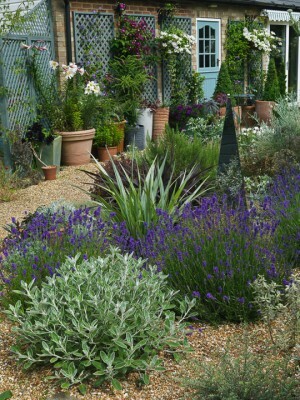 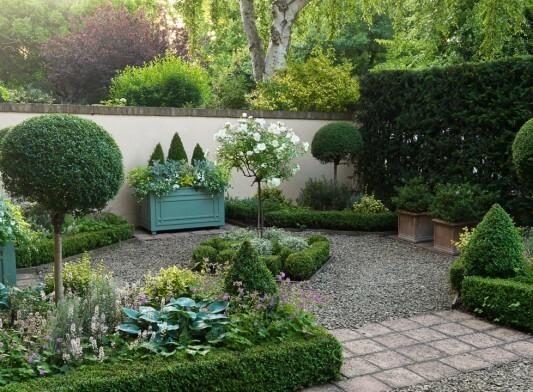 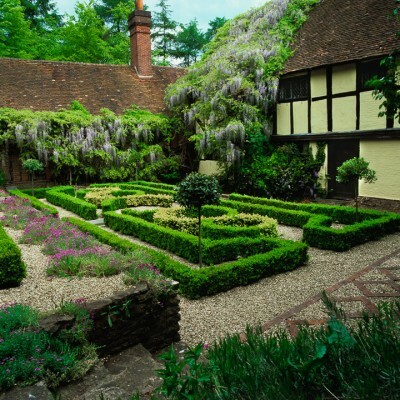 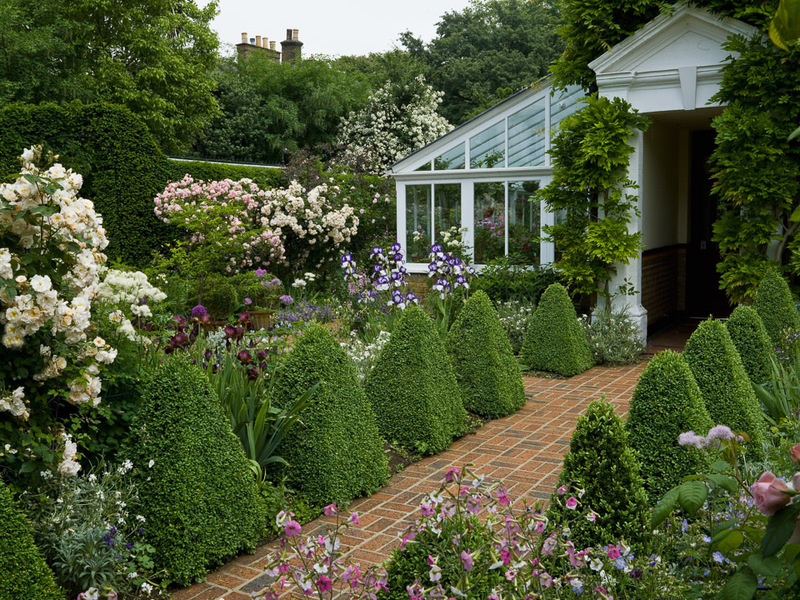 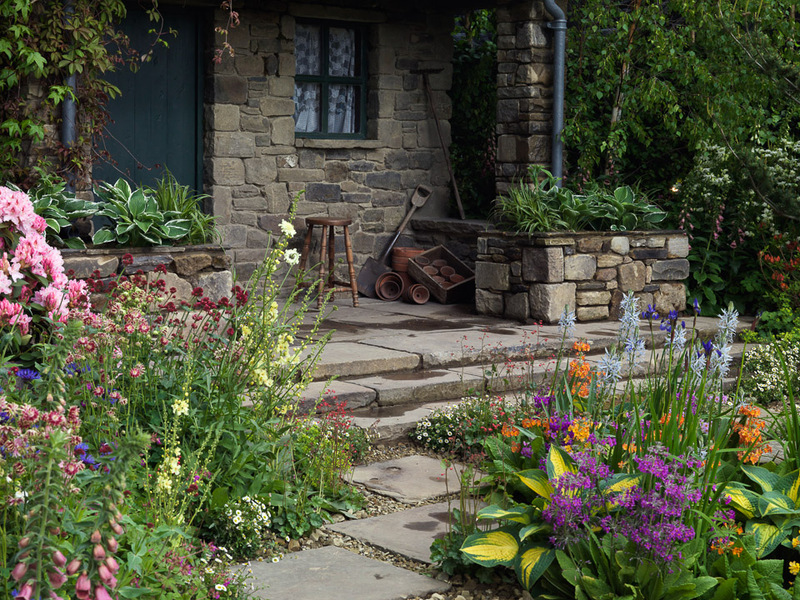 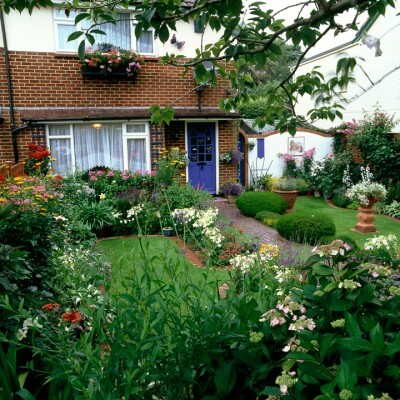 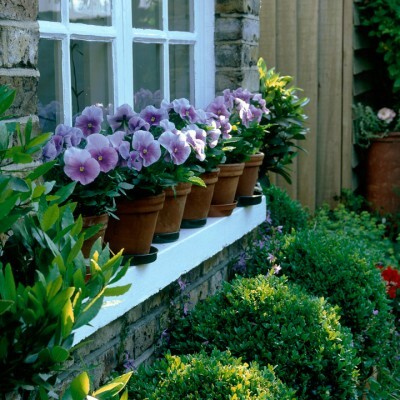 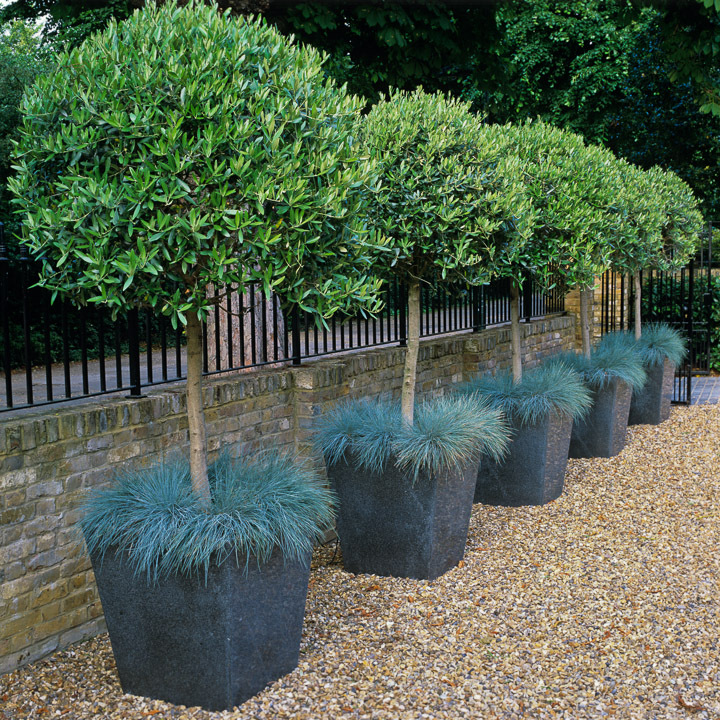 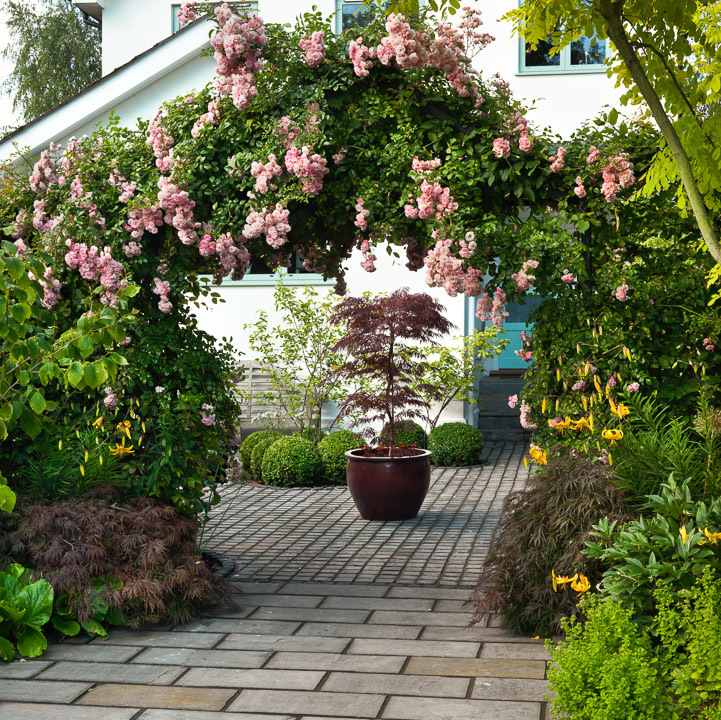 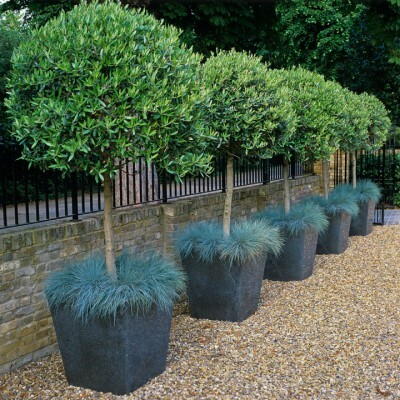 The first step in any front garden design is to analyse its functions. 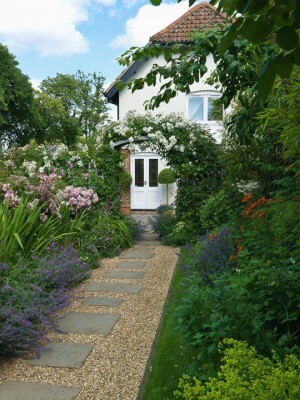 Is it purely an entrance, or does it incorporate off-street car parking, even a driveway to a garage? 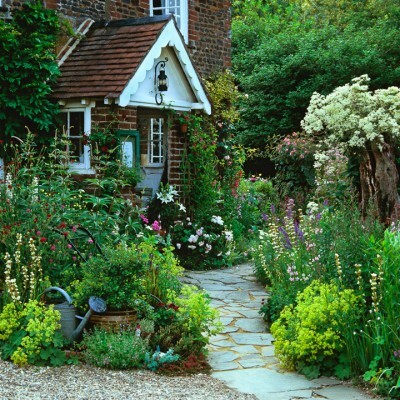 If it also doubles as parking space, should the path be separate from the drive?